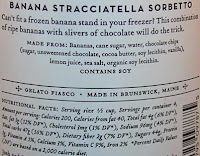 [By Nick] <words>redacted</words>, I think it's time to post one of the Gelato Fiasco reviews I had saved for a rainy day. And look, it's raining here in Upstate, NY right now! Perfect timing! Clear containers lead to no surprises. It looks banana colored, smells like bananas and look, there's the chocolate chips peaking through! 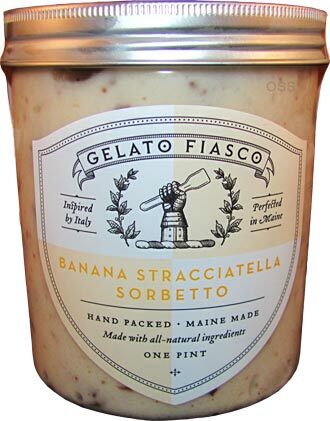 I haven't had the best of experiences with banana gelatos so let's see if a sorbetto can change my mind. First off, I will never understand how they can manage to keep the sorbetto so creamy. While it's not on the same level as their gelato or ice cream, it's still a remarkable feat with no dairy involved. The flavor is surprisingly how I like my bananas to taste. Nothing artificial or too ripe here. The flavor is just perfect to me and my banana preference which is impressive. I mean since they're making this in smaller batches, I'm sure the quality control and use of high quality ingredients helps out as well. Still, great job with the flavor of the base guys! Second, is The Gelato Fiasco the only company making sorbetto with mix-ins? Outside of their Raspberry Truffle‎ and Pomegranate Chip flavors, I can't think of any other companies doing this. I always thought it had something to do with the sorbetto's making but The Gelato Fiasco proves that theory wrong. 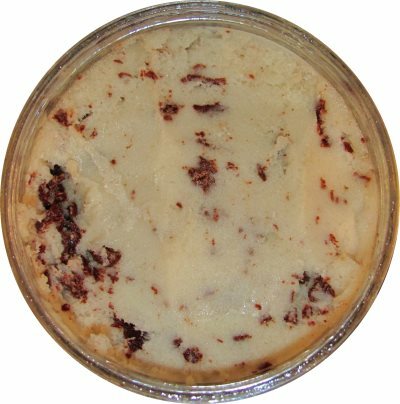 The hand spun chocolate is similar to what Grater's does when they add chocolate to their pints. While there's no huge chunks here like in their Espresso flavor I had, the chocolate is still sizable at times. Once again, it's high quality but more on the milk chocolate side this time around. When combined with the base, you essentially have a chocolate covered banana but a lot creamier. If you're looking for a banana fix, this is one of your best bets on the market. Buy Again? If I was in Maine without my beloved Stewart's. Wow! I am impressed with your review. Now you want me to try this flavor because your experience made it sound really enjoyable and worthwhile. I never thought sorbets were creamy since no milk is involved, but since you said this particular one was, I would love to try it. Unfortunately, I don't think any stores in my region carries it. Does Whole Foods? Stride, you'd be surprised how creamy some companies sorbets are. Both the Gelato Fiasco and GS Gelato make excellent sorbet. Where are you located? Whole Foods might be a possibility but I can try to see if I can find a store near you with them stocked. Nick, I am located in Pittsburgh, Pennsylvania. Thank you for helping me out! 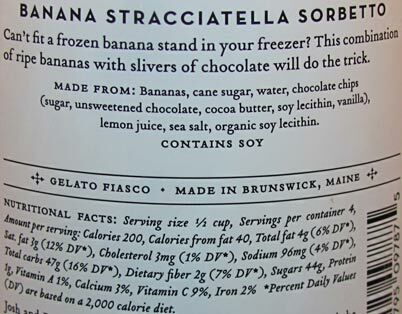 Ahh I really do need to find and try Gelato Fiasco. Deb, at the basic level, sorbet contains no dairy. Sherbet does (and it's usually nonfat milk). And I'm sure there are more subtle differences than these. Deb, vocaltaffy basically summed it up. Some sorbets are icy if they aren't properly whipped though I've had some that resembled ice cream as well. I can't comment on water ice since I've never had it. There's no Rita's in upstate. Stride, I'll ask them and find out for you. vocaltaffy, thanks for chiming in! Well done helping me understand. A few days later I was watching Chopped and they happened to mention that, once dairy is added, sorbet becomes sorbet...and of course, thanks to this blog, I knew that! By the way, not sure where else to post this but any chance of reviews of some of the more summery flavors? Especially orange creamsicle (I know friendly's, eddy's and turkey hill make them). And maybe the edys limited edition favors for the summer? @Deb: nothing new from Turkey Hill either. 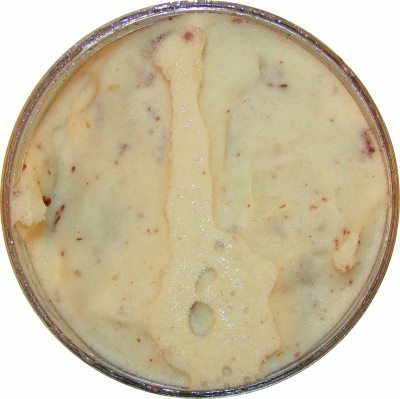 scroll back through http://www.onsecondscoop.com/search/label/Turkey_Hill+limited for key lime pie, coconut cream pie, and southern lemon pie.